"By now, the name of the cafe was written on the walls of hundreds of boxcars, from Seattle to Florida". 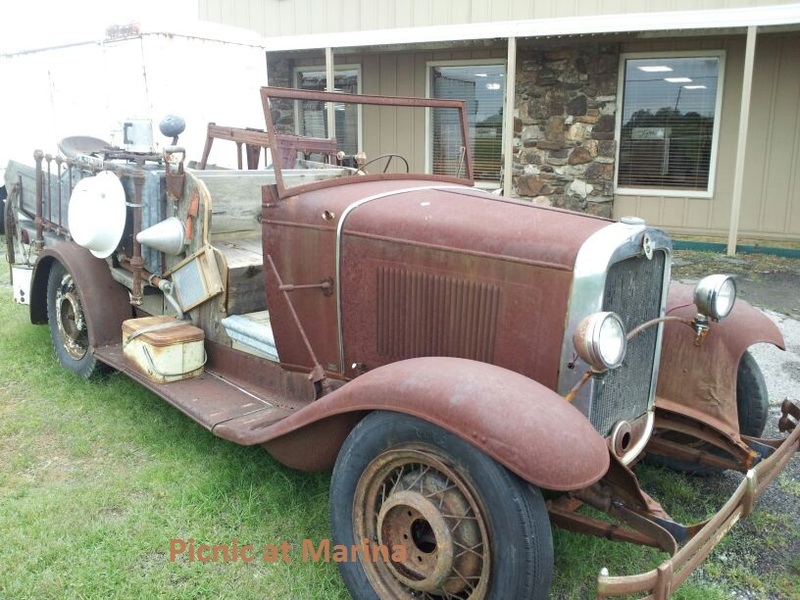 "For lunch and supper you can have: fried chicken; pork chops and gravy; catfish; chicken and dumplings; or a barbecue plate; and your choice of three vegetables, biscuits or cornbread, and your drink and dessert - for 35c." "She said the vegetables are: creamed corn; fried green tomatoes; fried okra; collard or turnip greens; black-eyed peas; candied yams; butter beans or lima beans." Fried Green Tomatoes at the Whistle Stop Cafe. Pictures of omfort foods that make me think of summer afternoons, Sundays and church picnics. Ahhhh. Real Southern comfort food, awesome! I love tomatoes, and I love fried green tomatoes a lot. Never thought it could taste so good. It looks so yummy! All that for 35 cents? Although I didn't go to the Whistle Stop Cafe fried green tomatoes were the first food I went out of my way to find when I visited the south of the US a few years ago. Really enjoyed them too. I haven't tried it in the restaurant, only homemade. I am sure they taste very good. Fried green tomatoes sound amazing! Whoever came up with an idea was genius! I've never heard of green fried tomatoes, but would love to know more about them! 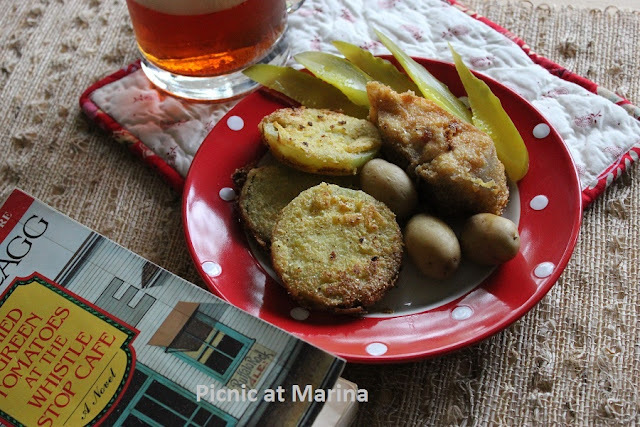 I've learned of fried green tomatoes from the book "Fried Green Tomatoes at the Whistle stop cafe" some years ago. 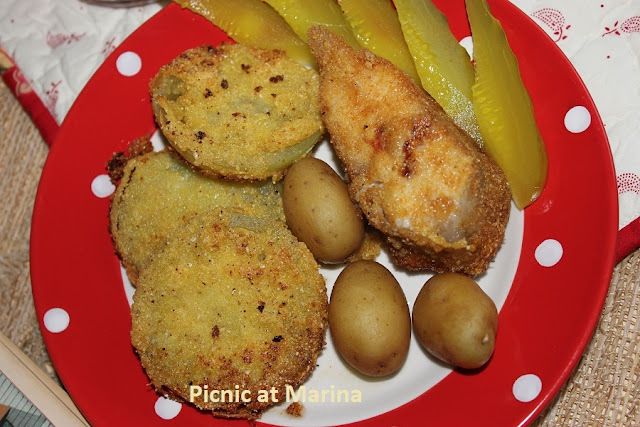 And then I tried some fried green tomatoes at the party and really liked it. I've been making it since... (when I can find green tomatoes). ok, dumb question. Is the Whistle Stop Cafe a real place? 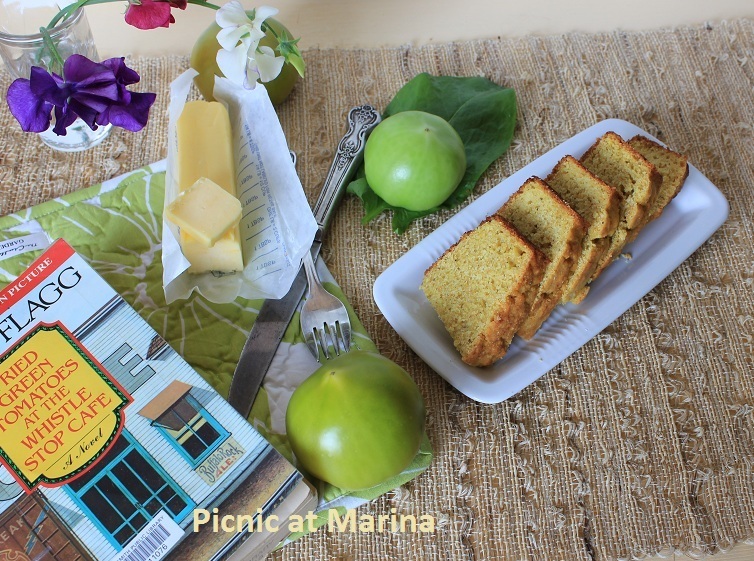 Loved the movie Fried Green Tomatoes, and something about this food reminds me of Summer.